The heroine of Melissa's novella intends to go to an all girls college in the late 1850s, which then begs the question: Why did all girls schools exist? Weren't young women expected to get married and manage a household regardless of their education? The heroine in Love by the Letter, likes to do Algebra for fun. What about you? Was I the only secretary on break who wrote out algebraic equations to solve for fun? Um, so nobody but me huh? Well, whereas I could pretty easily get a math degree and put it to good use today, my heroine had very few choices in 1858. But, finishing schools weren’t the only places to go at that time, there were these new-fangled four year female colleges that awarded women degrees equivalent to men. Wanting to make sure I had the attitudes of the time right for my novella, I searched out some contemporary editorials on why women were encouraged to get these degrees. It’s because …..they wanted women to get married. So how was that new? Because there were more colleges available to men and therefore more “general intelligence,” the female colleges were there to help women become more educated so that marriage to these educated men could be on a more equal footing, and so they didn’t have to marry someone they didn’t care for out of desperation. Hopefully they could support themselves in a decent vocation if necessary, allowing them to wait until a man offering them genuine affection proposed. **Theory and Practice of Music and Oil Painting classes are extra! Thanks for stopping by to explain things to us, Melissa. 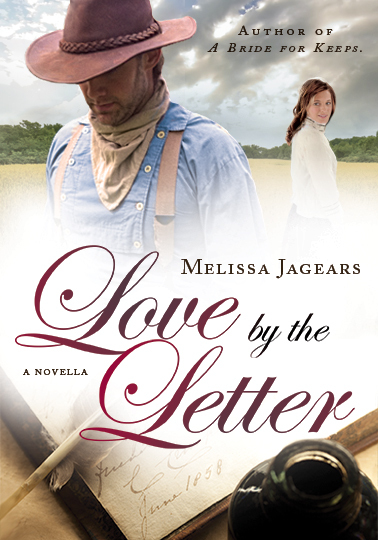 If you're interested in her novella, Love by the Letter, it's free on Amazon and Barnes and Noble and serves as a prequel to her novel A Bride for Keeps. 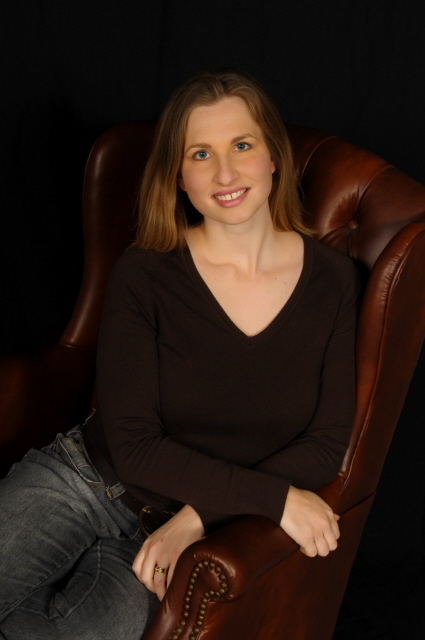 Learn more about Melissa Jagears and her novels at www.melissajagears.com. I loved this post! I just completed my bachelor's degree in English after being out of school for 25 years lol. It was a lot of fun; I had been working on it for 10 years. I think I would have failed if I had to take some of these courses listed above! I would have loved Algebra! I had to take Calculus to complete my degree at the community college before I could transfer to a four year school. I remembered why I had loved it in high school. But for my English degree, I got to read and write papers. It was a concentration in Literature, so it worked for me. One question, today when someone says they have a four year degree, especially if it is from a few particular schools (like Harvard), they are looked up to and thought of in a different way. Like, oh, you have a degree. Wow. Was that the attitude for these ladies that went to one of these four year schools, or was it more like it wasn't such a big deal? The degree gave them job opportunities and a way to wait for love instead of desperately marrying the first man that came along; but, did other people still view them as only wives, or did they get treated a little bit differently for that degree? Or was the only incentive to go so that they could hold a job, but nothing else changed? Thanks! I like your picture of Oberlin. My heroine in my current WIP is an Oberlin graduate in 1866. That school was radical because they allowed African Americans to go to school there and it was coed. There was a separation between the Ladies Course and the Gentleman's Course, but they still went to school together coed and interracially as well. Great post! Hello Naomi and Melissa, good to see you both here. I didn't go to college and lucky I guess that I was able to finish high school because I came from family of 9 and we didn't have much. When I think of yesteryear, college for them had to be hard to get to and very lucky if they did. Liked your post today and really like that book I am seeing about Love by the Letter, looks like one I will want to read. Sally, I imagine there were all different reactions but since I saw a lot of "we're not trying to disturb the status quo" in the literature I read, I'm assuming a lot of people thought they were uppity for going. It was very interesting to read your post. Your answer is kind of what I figured the response would be. Thanks! Melissa, didn't know they had colleges for women way back then. This was a big surprise. I thought they more looked at as a man's property. With a lot of arranged marriages. Sounds like some hard classes too. And the mix of races. We must have went backwards at some point in time. This book sounds like my kind of book. I love these mail order brides, but looks like he might not need one. I've never loved History so much as now. Thank you for this information on finishing schools and a few select colleges for women in 1858. The list of subject studied is impressive. I'd be overwhelmed by the challenge. It seems at that time women were discriminated against and options were limited. After the suffrage movement went into full swing significant strides were made. Gradually men came to realize that women could think for themselves and should be permitted to marry for love and not convenience and much later women were given the right to vote. Thank you Naomi and Melissa. I personally find the whole idea of a woman going to college just so that she could get married and not do anything with the knowledge she acquired ridiculous. But that mindset was very much prevalent at the time. Women were expected to marry. End of story. Anything else resulted in a life of hardship with little means for a woman to provide for herself. Interesting - but, I think I would have had a struggle with those classes!